Diplomats and representatives of several countries in the Organization for Security and Co-operation in Europe (OSCE) said approval of the new Moroccan constitution is a bold move towards reinforcing the rule of law in the Kingdom, the Maghreb Arab Press news agency reported on Tuesday. Ambassadors and representatives of France, the United States and Poland – which takes over the rotating presidency of the European Union – Spain, Russia, Turkey, Jordan, Malta and Egypt, expressed their appreciation of the democratic dynamic marking the political reform process in Morocco. These reactions were voiced after a presentation by, Morocco’s Permanent Representative in Vienna, Ambassador Omar Zniber, of the new Constitutional Charter, at a recent meeting of the OSCE Mediterranean Contact Group, who spent a long session for discussing the approved new constitution. 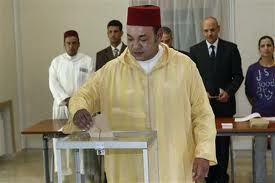 Following this discussion, numerous delegations commended Morocco for the peaceful nature of its democratic transition and the content of the new constitution. France’s ambassador said the referendum was held in Morocco in accordance with democratic standards, noting that President Nicolas Sarkozy suggested that Morocco can take advantage of the G8 strategic partnership. The representative of the United States pointed out, for her part, that Morocco’s positive evolution makes of the Kingdom an important ally, with whom the U.S. is prepared to work harder at both bilateral and multilateral levels, including through the OSCE. The Polish Ambassador, on behalf of the European Union, welcomed the democratic development in Morocco.